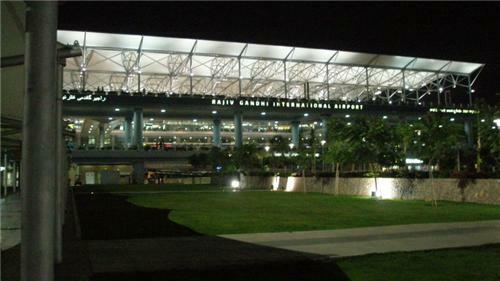 Rajiv Gandhi International Airport replaced Begumpet airport on March 2008 to serve as both the domestic and international airport for Hyderabad.Terminal 1 serves for domestic flights to and from Hyderabad while international flights take off from terminal 2. It is located at Shamshabad, about 22 km to the south of Hyderabad. Plaza Premium lounge will refresh you with a comfortable place for nap, showers, food, beverages before or after flight. Lounges are also provided by Air India, Jet Airways and Kingfisher for their own flyers. If you want to quickly check your email or access internet before boarding flight, you have access to 45 minutes of free Wi-Fi services in airport after which they are chargeable. Apollo hospitals enterprises Ltd. ensures that no medical emergency goes neglected and that everyone receives prompt action. It has a 24 hours pharmacy and modern ambulances equipped with well trained doctors inside the airport. Don’t like to carry your luggage? Take the help of porter services available at a nominal cost of Rs. 100 for domestic flight passengers. Taking the essence from a village, the place is specially designed to receive your near and dear ones and grab some food and beverages while waiting to receive your friends and family at the airport. Having some query regarding the domestic or international flights or airport?, please come here. The well trained staff here will assist you. It is located at Level F Domestic Departures and Airport village. Other facilities which one can get at the airport include ATMs, baggage services, restuarmts and places of duty free shopping and even prayer rooms. Refresh yourself at Airside Spa near gates 22 and 25 in domestic departures. Hyderabad airport takes extra care of the people with special needs, such as pregnant ladies, physically handicapped, senior citizens. You can contact at 040-66606045 to get special services for the needy ones. There are pushpak, car rental and radio taxi services that one can avail while coming or going at the airport. Pushpak is a luxury bus service by Andhra govt. (toll free no. 18002004599). Car rentals are provided by Carzonrent (09963998833). You can book radio taxi from licensed taxi operators such as Meru cabs, easycabs, skycabs etc. But please note that radio taxis cannot be pre-booked from airport. They need to be booked online or by calling.